Synth-driven Frisco unit Jonas Reinhardt are moving into the world of film, with plans to issue a new band-produced sci-fi flick called Ganymede in the new year. Constellation Tastsu, not to be confused with Canada's Constellation Records, will issue an LP/DVD package on February 11. The film was put together by Jonas Reinhardt's Jesse Reiner, in collaboration with Brooklyn-based filmmakers Antonia Kuo, Josh Lewis, Kenneth Zoran Curwood, Shona Masarin, Ben Mosca and Lily Jue Sheng. According to a statement from Reiner, the experimental movie "imagines sub-aquatic life on the distant moon of Ganymede beneath a sky of ice." On the music front, the LP will include seven new songs utilizing "a battery of synthesizers & repeating patterns" that apparently make for a rather transcendent experience. You can hear what's in store from the soundtrack in a trailer for the film down below, and pre-order the package over here. While it will be getting a home release, the film is also booked to be screened twice at Williamsburg's Spectacle on February 20. You'll find the screening info, as well as a couple concert listings, down below. 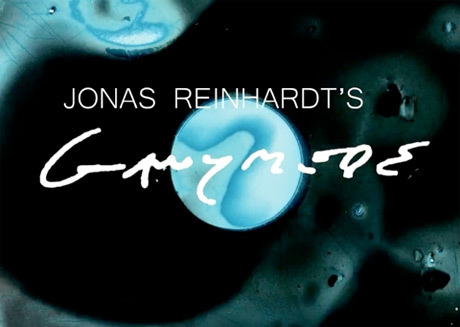 The Ganymede project follows Jonas Reinhardt's 2013 LP Mask of the Maker.